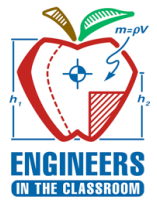 SHPE LM Aero partnered with Euless Trinity HS, Hurst-Euless-Bedford ISD, SHPE-UTA and the Trinity SHPE Junior chapter to host our 3rd annual SHPE ACE Introduction to Design Engineering and Analysis Seminar (IDEAS) Science Day on Saturday, April 16th. The science activity workshops this year were a Robot Bug and Boat Design competition. The students were then divided into groups of 4 where they had to come up with a team name and work together to design and build the most creative, affordable, and robot bug that walked the furthest distance. After the morning activity, then the students were provided sandwiches for lunch and they networked with the other SHPE professionals and SHPE UT Arlington college students participating in an ice-breaker session. The afternoon design workshop was a Boat Design where the students had to work together in teams of 4 to design, procure, and build the most creative, affordable, and efficient boat to hold the most weight using popsicle sticks, foil, corks, and straws.